The custom adoration of Lord Vishnu or Sri Satyanarayan Puja is for the most part performed on a full moon day or Purnima of each month. The Hindu vedic scripture is completed with stories of the awesome sage Narad Muni, who is called Triloka Sanchari as he can move about in all the three legendary planets. On one of his divine treks, once when he went by earth, he saw wild hopelessness. Not able to figure out how to mitigate human enduring, he approached Lord Vishnu or Narayana and identified with him the pitiful condition of issues on earth. 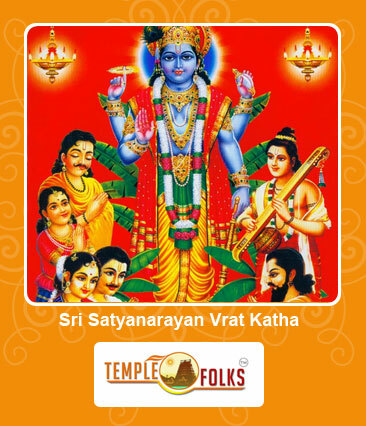 Vishnu said to Narad, "Let individuals take Satyanarayana Vrata at night of Shankranti or Purnima. Give them a chance to all hear the story of Satyanarayan Katha and all tragedies will arrive at an end." Narad came back to earth and lectured the radiance of the Sri Satyanarayan Puja. Numerous people observed the satyanarayana vrat pledge without taking any nourishment amid the course of the day and accomplished what they craved. As the legend goes, all were glad and prosperous.